HTML/CSSで組むレイアウトのこれまでとこれから | ARCHETYP BLOG | Webビジネスに関するUI/UXデザイン｜株式会社アーキタイプ｜ARCHETYP Inc.
See the Pen Tabel Layout on CodePen. See the Pen Float Layout on CodePen. See the Pen Position Layout on CodePen. 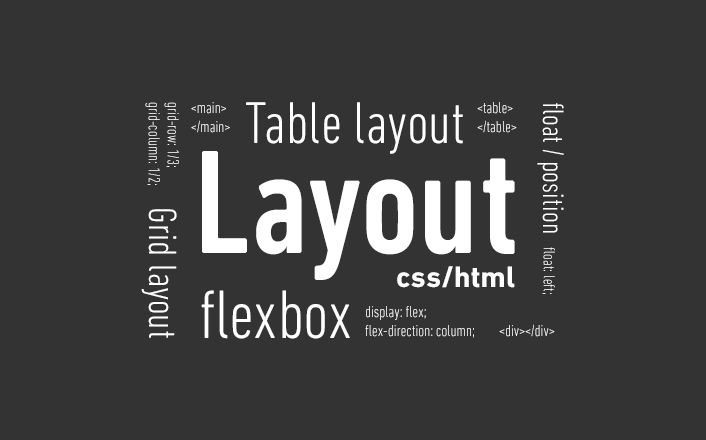 See the Pen Flexbox Layout on CodePen.